I hope everyone had a superb holiday season and you are all now gearing up for an equally magnificent new year's celebration! Santa was very generous this year and I now have lots of new crafting goodies to play with, including a full set of Prismacolor Premier pencils! I hope Santa was good to all of you too and I'm looking forward to seeing all your projects using all your new stuff. I have been neglecting my blog lately as the holidays were very hectic for us this year, but I finally have time to show you the birthday card that I made for my hubby. This is a true 'Dawn card,' complete with cheesy pun and a unique, but relevant embellishment. Other - fuzzy yarn, cotton string from my stash, golf tees are from a local golf shop and came already painted blue for me. 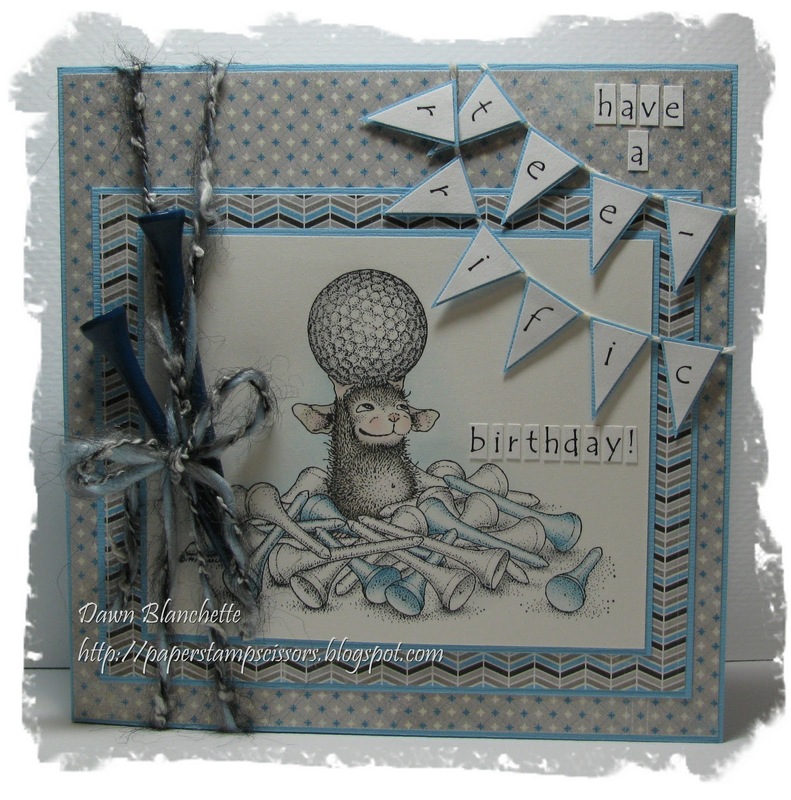 This card was inspired by a few challenges, but the only one that is still current is House Mouse and Friends, where they want to see your fuzzy and warm creations. Golfing makes me think of warm weather, and the yarn is very fuzzy! That's all for now. Thanks for popping by and for taking the time to leave a comment! Have a happy and safe New Year! Sending you wishes for love, happiness, health and - of course - lots of creativity for 2012! What a darling image and cute card you made around it. Every time I think I have seen every House Mouse image there is, up pops one I've not! 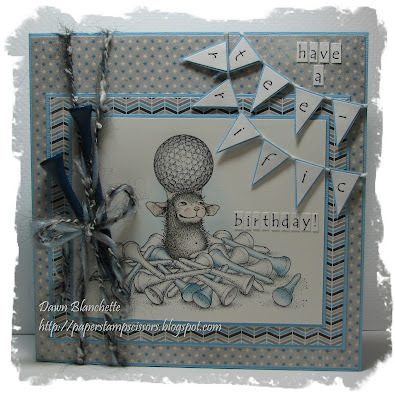 Thanks for sharing your card with us at the House Mouse and Friends Monday Challenge. Nicely done.